Portrait of King George III by Allan Ramsay. Parliament replied to the "Boston Tea Party" with the five Coercive Acts of 1774. The colonists dubbed them the"Intolerable Acts." In retribution for this affront to royal authority, the Prime Minister, Lord North, began passing a series of five laws, dubbed the Coercive or Intolerable Acts, the following spring to punish the Americans. Just after the famous Boston Tea Party in December 1773, the British imposed a series of restrictions that came to be known as the Intolerable Acts. Although five laws were passed, just four laws are considered as Intolerable Acts. Parliament entered into a month-long debate to consider what could be done. Their main concern was to establish that Parliament did indeed have authority over the colonies. On March 26, 1774 an act of punishment passed the House of Commons. This was the first of five acts that eventually became known in the colonies as the Intolerable Acts, also called the Coercive acts. Parliament responded with new laws that the colonists called the "Coercive or Intolerable Acts." The first, the Boston Port Bill, closed the port of Boston until the tea was paid for -- an action that threatened the very life of the city, for to prevent Boston from having access to the sea meant economic disaster. Other enactments restricted local authority and banned most town meetings held without the governor&apos;s consent. A Quartering Act required local authorities to find suitable quarters for British troops, in private homes if necessary. Instead of subduing and isolating Massachusetts as Parliament intended, these acts rallied its sister colonies to its aid. The four Intolerable Acts, also known as the Coercive Acts, formed Britain&apos;s punishment of both the town of Boston and the province of Massachusetts for the destruction of the East India Company&apos;s tea on 16 December 1773. They were rushed through Parliament in the spring of 1774. Their purpose was to show rebellious colonials that, unlike 1766, when the Stamp Act was repealed, and 1770, when four of the five Townshend taxes were withdrawn, Britain would not retreat this time. popular name given to a series of laws passed by the British Parliament in March 1774 as punitive measures against the colony of Massachusetts; also called Coercive Acts. Resentment of these acts contributed to the outbreak of the American Revolution a year later. The people of Massachusetts had defied various British policies they considered repressive; they had resisted the Stamp Act in 1765, and in March 1770 had openly shown their resentment of the quartering of British troops in Boston. After the so-called Boston Tea Party in 1773, when Bostonians destroyed tea belonging to the East India Co., Parliament enacted four measures as an example to the other rebellious colonies. Eager to quell the "commotions and insurrections" taking place in Boston, Parliament passes a series of acts, the first of which closes the port of Boston on 1 June 1774. Parliament doesn&apos;t stop there. Two additional Intolerable Acts—the Administration of Justice Act and the Massachusetts Government Act—take effect in the summer of 1774. These three acts, together with the Quebec Act and the Quartering Act, are known collectively as the "Coercive Acts." Benjamin Franklin, serving as a colonial agent in London, satirizes these ministerial policies with a special creation of his own, which he calls an Act to Enforce Obedience in the American colonies. Following the enactment of the Intolerable Acts, the radical colonists such as Samuel Adams were given more ammunition to argue for independence. In September, twelve colonies, all except Georgia, sent representatives to the First Continental Congress, which passed resolves that denounced the Intolerable Acts. Parliament responded by sending Lt. General Thomas Gage back to America with orders to suppress any rebellion. He occupied Boston and replaced Thomas Hutchinson as Royal Governor. Tensions would build until Lexington and Concord. The Intolerable Acts was an American label for the laws sponsored by Lord North&apos;s ministry and enacted by the British Parliament in 1774 in response to the Boston Tea Party. Also called the Coercive Acts, they were a major factor contributing to the outbreak of the American Revolution. The Intolerable Acts, called the Coercive Acts by Parliament, were four acts enacted by the British Parliament in 1774, in response to the Boston Tea Party. The Acts included the Boston Port Act, which closed the entire port of Boston, the Quartering Act, which made the colonists feed and shelter British troops, the Massachusetts Government Act, which made Massachusetts a Royal Colony without elections (but instead a governor appointed by the King), and the Administration of Justice Act. The laws were so disagreeable that the colonists called them the "Intolerable" Acts. Along with the Navigation Acts and Stamp Act, they contributed to the colonists&apos; dissatisfaction with the British, leading to the American Revolution. The Intolerable Acts or the Coercive Acts are names used to describe a series of laws passed by the British Parliament in 1774 relating to Britain&apos;s colonies in North America. The acts sparked outrage and resistance in the Thirteen Colonies and were important developments in the growth of the American Revolution. The news of the "Boston Tea Party" reached Parliament in early 1774. The members of Parliament, as well as King George III, were outraged. There was absolutely no way that this display of disobedience by the colonists was going to go unpunished. They had wasted more than 400 cases of tea, and someone was going to have to pay for that destruction of property. 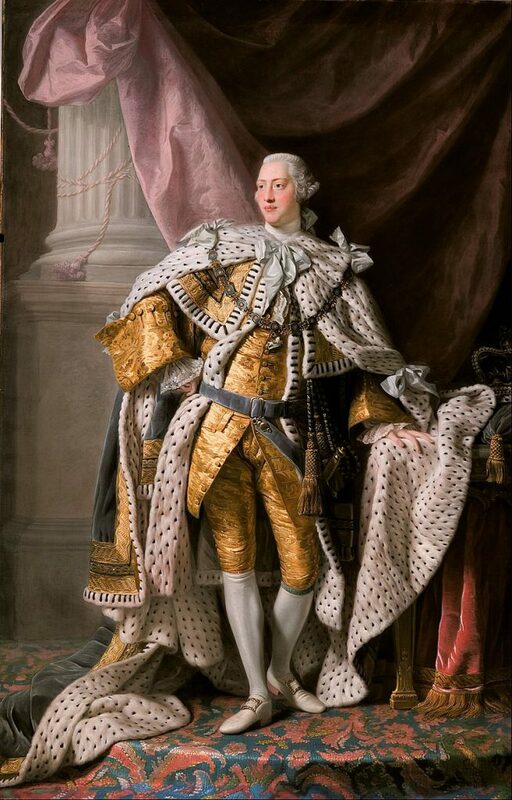 In response to the constant insubordination of the colonists, King George III himself approved of measures that were going to force the colonists into submission. As a result of the king&apos;s approval, Parliament enacted four new laws and updated an old one. These laws, the Boston Port Bill, the Administration of Justice Act, the Massachusetts Government Act, the Quebec Act, and the updating of the Quartering Act, were called "coercive" by Parliament, but they would come to be known by the colonists as the Intolerable Acts. Intolerable Acts, name given by American patriots to five laws (including the Quebec Act) adopted by Parliament in 1774, which limited the political and geographical freedom of the colonists. Four of these laws were passed to punish the people of Massachusetts for the Boston Tea Party. The British called their responsive measures to the Boston Tea Party the COERCIVE ACTS. Boston Harbor was closed to trade until the owners of the tea were compensated. Only food and firewood were permitted into the port. Town meetings were banned, and the authority of the royal governor was increased. Properly known as the Restraining Acts, the Coercive Acts, as they were popularly known in England, were introduced in 1774 by the new government of Lord North, who acted with the direct encouragement of George III. Several voices of caution had been raised in Parliament, particularly those of Edmund Burke and Lord Chatham, who feared that stern measures were charting a course no one really wanted to follow; their advice, however, was not heeded. News of the Boston Tea Party reached England by January 1774: very quickly for this point in time. The press had published the story before Lord Northeven knew about it. The reaction in Britain was one of anger and a feeling that Massachusetts must be punished, as an example to the other colonies. The government rushed a series of pieces of legislation through parliament: In Britain they were known as the Coercive Acts but the American colonists labelled them "the Intolerable Acts". There were no lists of “Intolerable Acts.” In fact, I couldn&apos;t find the phrase “Intolerable Acts” in any of my digital sources from the pre-Revolutionary period (most of them listed at the left). Boston 1775readers know I like to point out myths, but this one astonished even me.